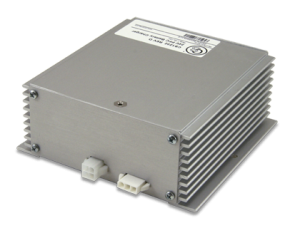 Our family of solid-state "smart" battery chargers are developed to optimally charge the vehicle's batteries, improving the battery life and reliability, while minimizing the maintenance expense to the end user. Please see the "charger family brochure" under any one of the individual products in order to cross-reference the specifications for all of our charger products. 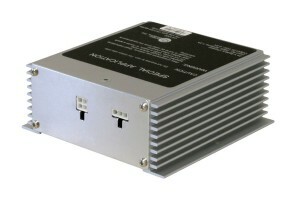 The CS1201x family of battery chargers provide multi-stage charging to battery-powered products. 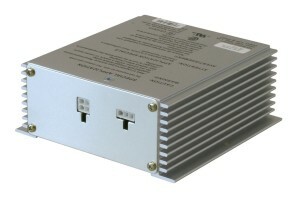 The chargers are designed to integrate with CS11XX series motor controllers or as a stand-alone trickle chargers. 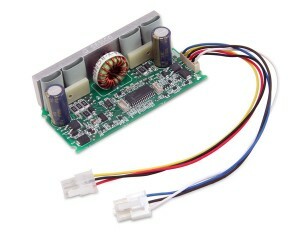 CS1207 provides protection against reverse polarity on both input DC power and output battery. And protection against over and under temperature conditions with automatic recovery. 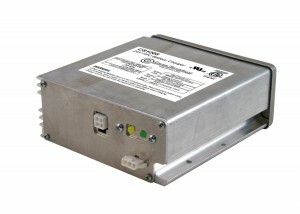 These chargers are designed to be used in conjunction with the CS11XX series motor controllers to charge two 12V, 17 Amp-Hour (or larger) sealed lead acid batteries wired in series.